This is a profession career so its a little different from a normal career as you can actually go to work with 2 of your sims and help them during their work day! Each of these tasks has to be completed in a different workstation so your sims perform cleaning duties using the janitor closet, you need to use the admin workstation to review charts and you test equipment using the physical aid workstation. TIP: if you are unsure which workstation is required it tells you above the action! 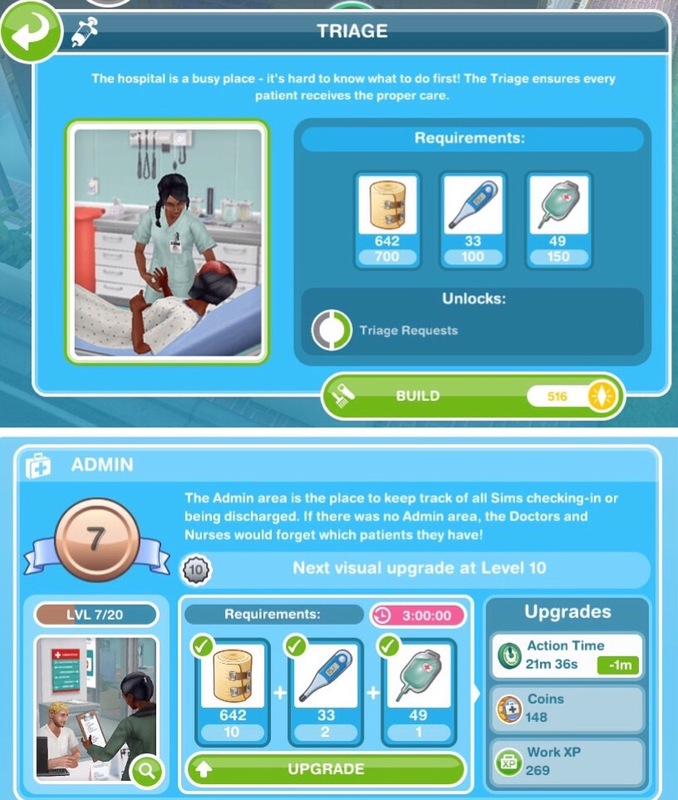 Each time your sims complete a task (that section will turn from grey to green) a hospital coin bubble will appear above their head, click this and they will earn hospital coins and XPs, the experience points are towards levelling up, so they will level up quicker than if you just sent them to work. I am not going to go into too much detail about how to complete Profession Careers here, if you are still unsure check out my Guide to Profession Careers for more information on how they work! If they are working offsite they will just work for 12 hours and they won’t earn any resources as they won’t be helping any sims. 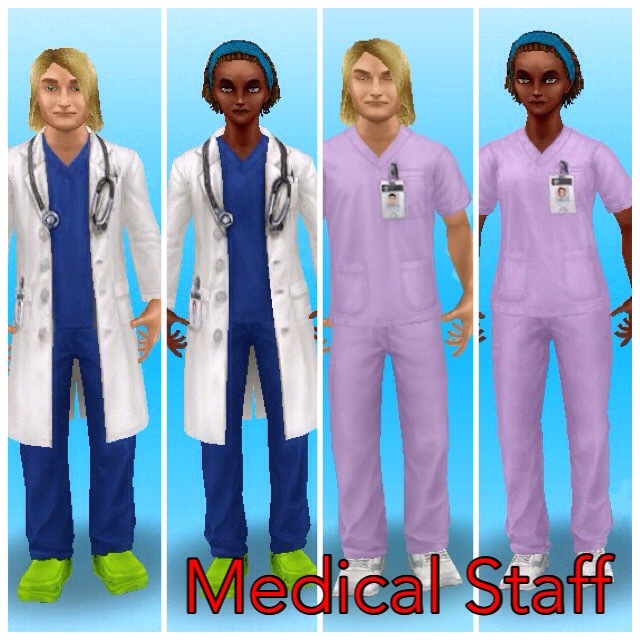 Then only 2 sims, once they reach level 6 can choose to be either Nurse or Doctor, only one sim can be a Nurse and one sim can be a Doctor, all other sims will stay as level 6 pre med. Once you unlock the workstation you have to use the resources to build it before you can help sims using these workstations, only the nurse will be able to complete tasks to help sims that require one of the workstations above. I will be going into detail about workstations later in this post. Once you unlock the workstation you have to use the resources to build it before you can help sims using these workstations, only the doctor will be able to complete tasks to help sims that require one of the workstations above. I will be going into detail about workstations later in this post. Each level requires you to complete more badges, you cannot level up until all the badges have been collected. Who are the important sims I need to help to get a badge? The tables below show the upgrade resources needed, the time each upgrade will take and the time an action takes and the amount of coins and XPs you earn when you complete each action, only one of these will upgrade each time so if the time taken decreases then the amount of coins and XPs you earn will stay the same until you upgrade again and then the amount of coins you earn will increase while the time taken and XPs will stay the same. When you upgrade each workstation to level 10 and 20 there will be a visual upgrade to the workstation, those pictures are shown below the table. Orange Suitcase? Can’t send your sims to work? Wait until tomorrow and you will be able to send them to work again without being VIP. 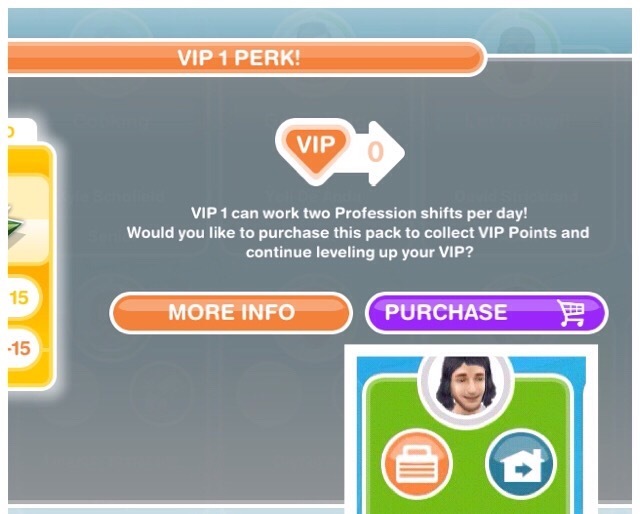 Do I need to be VIP to use the hospital? Got questions about Professions? Check out the FAQs here before asking! The Sims Freeplay- Which Career Earns The Most? 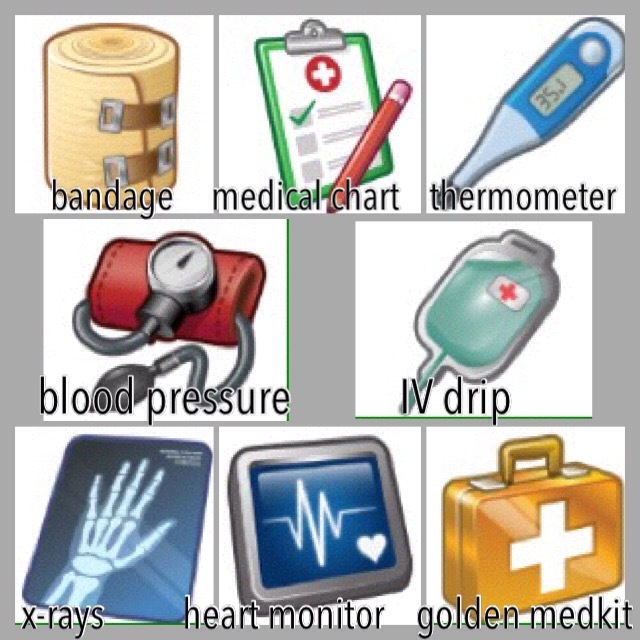 How do you collect the blood pressure cups for the doctor 3rd badge? You need to wait for the sims to come in with this in the bubble above their head, once you help them you will collect that resource. So my doctor has been stuck on level 7 forever! I need one more badge and it is the “10 blood pressure cuff” badge. I can’t get it! I start their shifts (1 nurse/1 doctor) when I know I will be able to frequently check on them for that 12 hours, and I keep up pretty well with patient turnover but I can’t seem to get it! The most they’ll give you at once is 3 and the most you can spin is 3 making the most I’ve ever gotten a 6 😑 it feels like before I needed them, that was all I got and now I can’t find them for the life of me! I tried trading under the trade tab but apparently those don’t count towards the badge. So, my question is, is there anyway to ensure you get a BP cuff walking in? Or certain times when they’re more likely to come? Anything I can do to increase my chances of find these elusive little things? Thanks! Btw I’ve been following you for years and your quest outlines have helped me SOOO much! Thanks for all your diligent blogging!! I’ve completed all of my badges for both my nurse and my doctor.. I’m still not leveling up. My doctor is stuck at level 7 and the nurse at level 6.. Please help. Is there a way to get 5 heart monitor bubbles per shift. 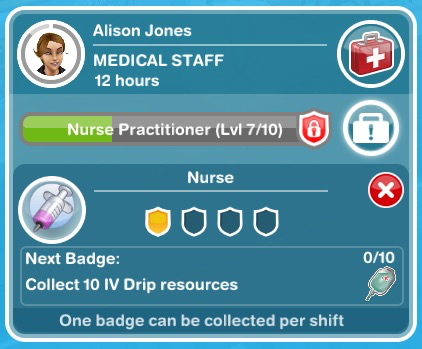 No matter what I do I never can get the 5 per shift needed to advance my doctor to level 10 since they appear randomly. Unfortunately there isn’t anything you can do to increase your chance of getting them, I would say it was mostly about luck which is incredibly frustrating, sorry I couldn’t be any help!